The Valley of the Sun earns its name with abundant sunshine most of the year, and only around 8 inches of rain at Sky Harbor Airport. Closer to the mountains, here in North Phoenix, there’s more precipitation. 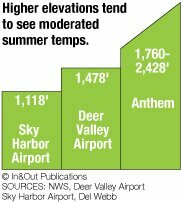 Rainfall averages 10.76 inches a year at Deer Valley Airport, and about 12 inches farther north in Anthem. 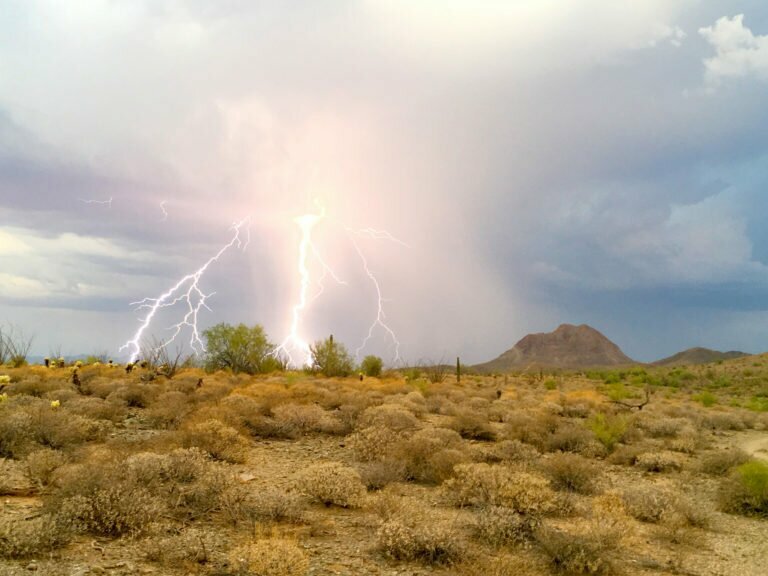 The rain comes mostly during winter storms and during the summer monsoon. While summers tend toward hot, spring and fall are absolutely delightful, and winter temperatures rarely dip below freezing. For Anthem, New River and other communities in the northernmost reaches of NoPho, subtract a couple degrees from the figures below, and plan on a little more rain (long-term data is not available in all communities). Temperatures and even the potential for precipitation will vary slightly depending on how near a community is to mountains at the northern edge of NoPho, or whether it’s closer to Deer Valley Airport to the south. 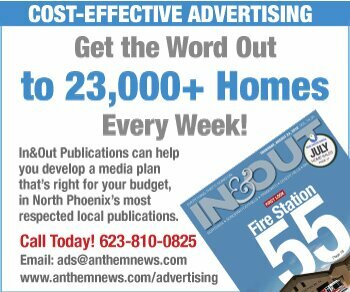 NoPho neighborhoods closer to Deer Valley Airport: Fireside at Norterra, Dynamite Mountain Ranch, Valley Vista. Neighborhoods closer to Anthem: New River, Tramonto. Neighborhoods in between: Sonoran Foothills, Desert Hills.